With the release of Captain America: The Winter Soldier just under two weeks away, we can't wait to see how this film shakes up the Marvel cinematic universe leading up to The Avengers: Age of Ultron (which just debuted some cool concept art right here). 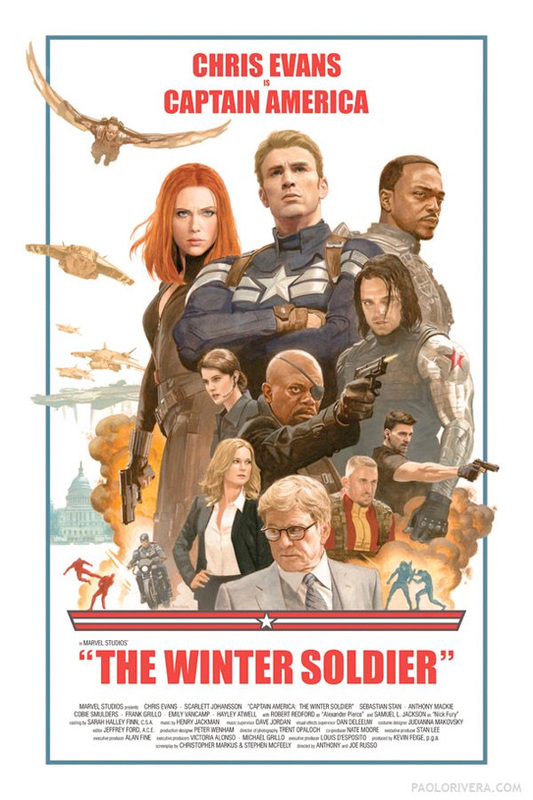 Now we have one final poster to show off for the Marvel sequel starring Chris Evans, and it takes a cue from the praised 70s political thriller style the film is said to embody and pull off magnificently. The poster comes from artist Paolo Rivera, and was commissioned by Marvel, complete with a retro style of films from decades past. It's probably the best poster yet. Look below! ^ This. And no blue and orange either.